Former unified junior middleweight champion Ronald “Winky” Wright was recently inducted into the international boxing hall of fame. Winky had an over 20-year professional career and faced many of the greatest fighters of this generation like Bernard Hopkins, Shane Mosley and Tito Trinidad. Wright was considered one of the most avoided fighters of his era and one of the best. In part 1 of my interview with Winky Wright I get views on his recent induction and his thoughts on his fellow hall of fame class. Wright also talks about his fights with Fernando Vargas and Shane Mosley. 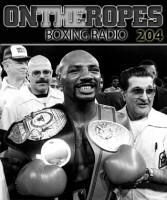 Winky discusses how the Mosley fights defined his career and also speaks on the rumored bout with Oscar DeLaHoya. Additionally, Wright talks about being underrated in the ring and how he surprised his opponents. Here is what Winky Wright had to say. Robert Brown: When you first started boxing, did you ever think you would be inducted into the Hall of Fame? How do you feel about the class you are being inducted with? Winky Wright: When I first started boxing, I definitely didn’t think I would be inducted into the Hall of Fame. But you know, hard work pays off. I think that Vitali Klitschko is a tremendous fighter, he was a dominant champion. Erik Morales was definitely a dominant champion, a witty Mexican fighter. 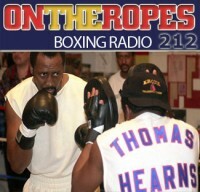 Robert Brown: Do you think your breakthrough fight was the Fernando Vargas fight? Winky Wright: No, I think the breakthrough fight had to be the Shane Mosley fight. It was a great opportunity to fight Vargas for the fans to know me but it wasn’t a big publicized fight, so I had to work hard in the next fight. I had to work hard in the next fight, and all the fans and the network were behind us and a lot of people got to see that fight. Robert Brown: Do you feel confident that you won the Vargas fight at the time? Winky Wright: Oh yeah I definitely think I won the Vargas fight. There was no doubt in my mind that I had won the fight. I took the fight to him and I thought I definitely won the fight but it is what it is. You can’t be mad about that all the time, you have to move on to the next thing. Robert Brown: During the Shane Mosley fight, people were so impressed by your performance. What was the feeling like in that fight? Winky Wright: It was a good feeling, it’s always good when you’re winning. Shane was a very tough competitor, I take my hat off to him for giving me the opportunity to fight him so that the fans could get to know me. A lot of the fighters didn’t give me that opportunity at that time. Robert Brown: Were you surprised how easy the fight with Tito Trinidad was in reality? Winky Wright: You train hard to try to beat everybody like that but it just so happened that everything came together that night for me and it made that fight much easier. Tito was a heck of a fighter, a tremendous talent and for me to be able to get that victory in that manner, it was a great accomplishment. 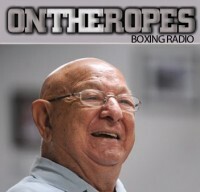 Robert Brown: You were set to have a fight with Oscar De La Hoya, but the negotiations fell through. How do you think the fight would have gone if you had fought him? Winky Wright: Well first of all, they never said they would even fight me, they said they thought about it, but it was never a discussion of trying to make that fight happen. But if I had fought De La Hoya I think it would have been a great fight. 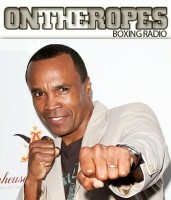 Oscar is a great competitor, Oscar has got a great offense, a great hook, good jab. We both would have had to see who’s jab was the best and who could oppose there will on the other fighter. Robert Brown: Do you think you would have had a good chance to beat DeLaHoya if you had fought him? Winky Wright: I definitely think I would have a good chance of beating him, at that time I was a big Junior middleweight and I was strong and my will to win. Oscar was coming off some losses at that time, so I really don’t think he wanted to do it too much, he just wanted to pick and choose the fighters he fought without really trying to put himself in danger. So I think if he would have fought me and came in on me, I would have made the fight really tough and I definitely think I would have won the fight. I take nothing away from him, I think he’s a great boxer, I wish I would have had the opportunity to beat him cause he was the only one I didn’t get a chance to fight, that was a great fighter in my era. Robert Brown: Do you think people really underestimated how strong you when you were in the ring? Winky Wright: Yeah, they all thought that I was just a boxer or I couldn’t punch, but if you notice you never see anyone running in on me, you never see one rush me cause I can punch, I just don’t go for the knockout. 8 Responses to "Winky Wright: “If Oscar De La Hoya would have fought me and came in on me, I definitely think I would have won!”"
Winky getting in the Hall was huge. I always thought he never got the credit he deserved during his career, so it was great to see him get it after his career was over. I think the Winky vs Oscar fight would have ended up more or less like Oscar vs Felix Sturm. Oscar flat refused to fight Winky because Oscar knew that Winky was too much for him. 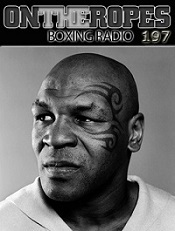 Winky beat Tito, and Shane Mosley twice….both guys beat Oscar. Anyone else see a pattern? Winky lost to vargas and Oscar knocked Vargas the phuk out. Styles make fights. Winky would of never beaten Oscar because he would of either been too inactive in the ring or priced himself out the fight all together. There is a reason why he had so many long layoffs and killed many potential fights in his career. To the point when a fighter turns down a fight because of ridiculous demands they say he must of went to The Winky Wright School of Business. I always think of how Winky could have been MW champ if he let his hands go a little more against Taylor. I had Winky beating Taylor in a very close fight, but Winky would have won more clearly in the judges cards if he was busier. He gave that fight away. Winky Wright, in my judgement did defeat Fernando Vargas. That was of the biggest robberies I’ve seen. 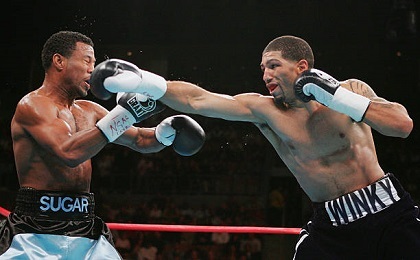 Winky Wright was very difficult fighter to hit. He was one of the best defensive fighters of his era. Once he put those mittens up to his ears, it was impossible to catch with anything clean. You hit nothing but gloves. I still thought he won that fight against Bernard Hopkins at 170.